Dancer Marge Champion, original model for Walt Disney’s “Snow White and the Seven Dwarfs,” at the press preview for Norman Rockwell Museum’s new exhibition, “Snow White and the Seven Dwarfs: The Creation of a Classic,” June 7, 2013. Photo ©Norman Rockwell Museum. All rights reserved. 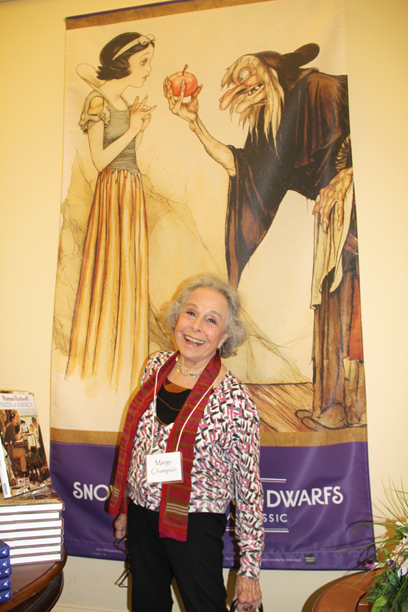 This morning Norman Rockwell Museum held a press conference to mark the opening of its newest exhibition, Snow White and The Seven Dwarfs: The Creation of a Classic. In addition to exhibition curator Lella Smith (Creative Director, The Walt Disney Company Animation Research Library) and The Walt Disney Family Museum’s Director of Communications Libby Garrison, we were honored to have award-winning dancer Marge Champion join us and share her memories of serving as a live reference model for Disney’s first full-length animated feature starting in 1934. 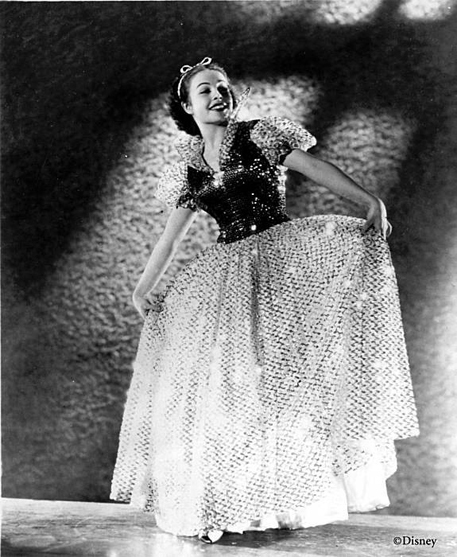 Marge Champion (then Marjorie Belcher) was just 13 when she auditioned for the part of Snow White. Out of some 200 girls who auditioned, Marge won the part, helped in part by the ballet training she received from her father’s dance studio in Los Angeles. 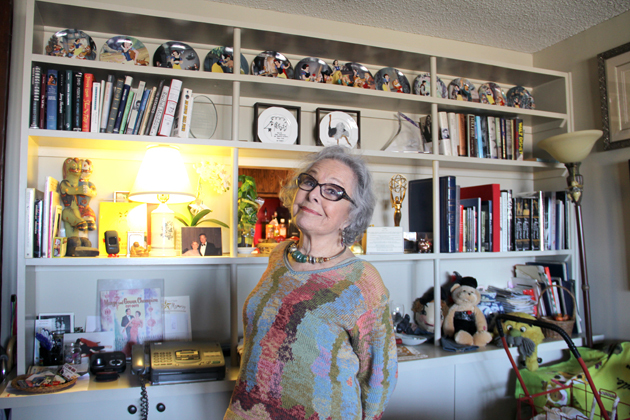 Ms. Champion remembers improvising many scenes on the Disney Studio soundstage, such as running through a “forest” of ropes hanging from clotheslines and fetching water from a prop wishing well. The animators then studied her filmed performance to understand how to more realistically animate the movement of Snow White. Reference photo of Marge Champion (then Marjorie Belcher), the live reference model for Walt Disney’s “Snow White and the Seven Dwarfs.” Photo courtesy Marge Champion. ©Disney. Marge remembers the opening night premiere of Snow White at Hollywood’s Carthay Circle Theater on December 31, 1937, and how moved the audience was by Disney’s groundbreaking film. The movie once referred to as “Walt’s Folly” was an instant success, and even won the first Oscar for an animated feature (a special statuette with seven additional miniature statuettes) at the 1939 Academy Awards. It paved the way for the studio’s prolific run of animated feature films, which continues to this day. Ms. Champion went on to have success in her own right as an accomplished dancer and choreographer. In the 1940s and 1950s she teamed up with her then-husband Gower Champion, starring in numerous MGM musicals and Broadway shows. A star of stage and screen, she splits her time between New York City and Stockbridge, Massachusetts (home of Norman Rockwell Museum), where she has a part-time residence. Dancer Marge Champion (the original model for Disney’s “Snow White”) in New York City. Photo by Jeremy Clowe for Norman Rockwell Museum. Photo ©Norman Rockwell Museum. All rights reserved.